in my case it was simple although i spend few hours… I typed wrong sql server. Suprisingly it didn’t throw window with wrong config settings. You can download the old .htaccess file to your computer as backup. Thanks for this information. I renamed the .htaccess and my sites are up and running. My server is godaddy. My question is, can I erase the old renamed .htaccess , because I called many times to godaddy to fix this kind of 500 internal error after many callings ? i am facing this 500 error to last 15 days on godaddy hosting. i have tried everything what ever you mention here but not able to solve this error and also called godaddy for help, he said site are working fine on our site you check in different system. plz help me and suggest me for better option for hosting. via their own file manager. Hi, I’m a non-techie and a newbie… Had this issue of Internal server error last week. It all began with my admin access getting restricted. But the site was working well. Sat through this with the Hosting provider (GoDaddy) for more than 4.5 hours through the night with 3 different personnel. (This was the 3rd time over a period of 4 days or so) They were helpful to a certain extent and identified the problem (wp-admin folder was missing). They emphasized that I should have deleted it as they did not have access(Just 2 days back they changed the files for me!!). I was logging in after a periodof 7 or 8 months of setting up the site. Anyways, I asked if they could restore the folder to a previous date. They denied. The solution given was a fee of $150, where they will “try” to find out the file changes etc, but with no guarentee. (While reading the above, I assume they should have used the above content as the questions/instructions were in the above written order). Anyways, from one of the discussions (forgot the site), I found that if the wp-admin folder(of the version installed) is put in, it should solve. Yes, it did work for me… I activated all my plugins(they had deactivated it) and the site was working. I also updated all the plugins and themes that i was using/trying. the site is up and running! One of the reason’s that some people might be getting an error with .htaccess and not with images is because they might be uploading it as a binary. I’m not certain but “auto” should usually work fine but it you’re only uploading text then maybe switch to “ascii” for that upload session, but remember to switch back again. I never knew about this till yesterday when all the images on my site were being corrupted when I downloaded them to local. So I googled and found a post mentioning transfer type “binary” for images, but when I checked I found the transfer type was set to “ascii” (for text – I don’t know how as I don’t remember touching it!!) So I switched it to “binary” and my images came down perfectly as before. The reason I say that “auto” is fine is because I’ve up and downloaded complete sites with a mixture of images (png, jpeg, gif etc) and text files (.php, .html, .css) and never had to set each transfer type individually or set it to “ascii” and upload only text files, then switch to binary and upload only images – Filezilla handles it all automatically…normally! In fact I was totally unaware of this setting and I’ve been using Filezilla for around 2 or 3 years! Thanks for this post. 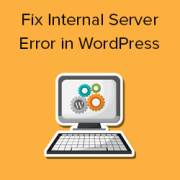 Learned (the bitter way) how much grief a bad plugin can cause to a wordpress site. Thank you very very very much! That was the best and only place where I found solution, after a day’s search on the web. Thank you so much for the nice tutorial..!!!! you’ve just saved my day. thanks! What i dont get with this error is that i CAN upload images without getting the http error but My client gets the error… Same server, same files… Why ooo why… Anybody? Thank you it was the PHP Memory Limit! Thank you very much! The .htaccess was the reason! Hi, guys. Awesome post! I use this page every time I get an Internal Server error. I would offer an additional step, however. Actually, this should be the very first step before anything else is done. That is to verify there is not a problem with the web host. That said, other parts of the server are still functioning so a quick and dirty index.html was created just so visitors see something nice instead of an error. It’s also handy to create a “test.php” file that demonstrates if PHP is working or not, and then try to access that file every so often. When service is restored, delete or rename the index.html so that the index.php will load instead. I sure hope this helps someone in a similar boat. All the best. Thanks for your help! My site only exhibited the “500 Internal Server Error” when I tried to see what plugins were installed. Naturally, I figured there was a misbehaving plugin. After several attempts to fix the problem by removing all of the plugins, I found your article. Your “memory=64MB” in a clean php.ini, placed in wp-admin, did the trick. Now at least I can work with the site to determine what is hording all the RAM. Nice article! Thank you very much!! this was very helpfull!! Many thanks for this post, resoled my issue. I have been locked out of logging into WordPress for 2 weeks, as it tells me the security certificate is not verified. Can someone fix this so I can log in? 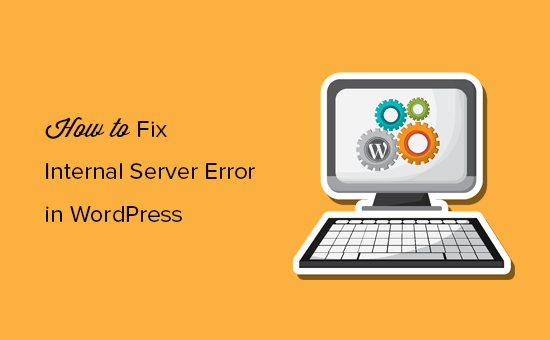 Sometimes server misconfiguration gets fixed and the error does not come back again. If it does then you should contact your web host. I have seen this twice. Just reloading the page fixed it. But can something still be wrong? 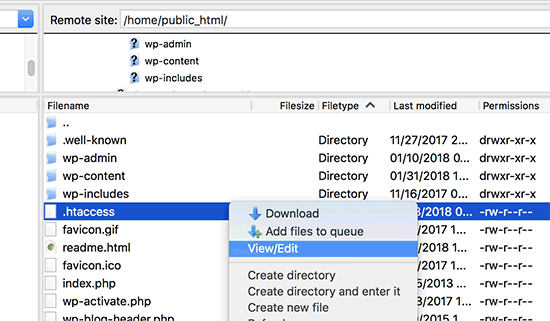 Check out our guide on how to deactivate plugins in WordPress when not able to access admin area. I can’t even log on to my admin panel at all to try to deactivate plug-ins etc… I talked with my hosting provider and they couldn’t find any problems. Any suggestions for what to do when you can’t even get to the admin panel? Thank you so much for your help. A simple fix for what seemed a massive problem. Is any other option like to install new wordpress on domain with all old posts ??? Your Help is needed please help to fix that issue..! Thanks for this article! My .htaccess file was corrupt and every time I kept renaming it, another duplicate kept appearing! The site kept returning 500 error messages. What I didn’t realise was that I had to save the permalinks setting in WordPress to update the file. Hope this fixes it for good! Thanks so much. Thank you so very much. The .htaccess trick worked. You saved my life! Deactivating the plug ins worked for me after the latest WP upgrade (April/8/14). Although I think it was the WP Mobile detector that was conflicting with my W3 cache who was the culprit. Thanks so much you are a life saver! My hosting company told me that I should have had a back up (which I thought I did via a plug in) and that if I wanted to get a recovery and back up I’d have to pay $75.00 bucks. Really? I am so disappointed but super happy I found this article. BTW, You are my go to guys when it comes to easy to understand, step by step issues with WP, plugins and the like. We need you around– Keep up the good work. Truly appreciate your efforts. I have deleted the infected files as I kept getting the 500 Internal server error. Now the host provider has asked me to upload the fresh files .. As I dont have any clue , I have asked the host providers to fix it.. 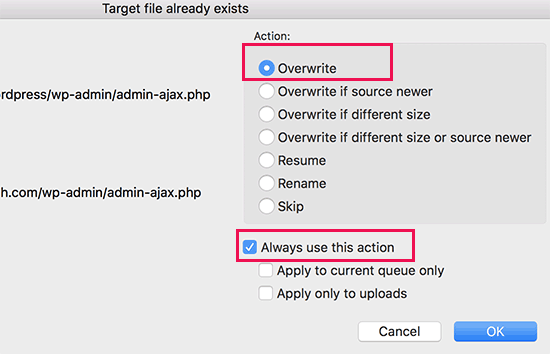 If i have to do it , when uploading to the web root should I give overwrite the existing files ? O.M.G. Nothing like waking up to a lost webpage. And yes, I did panic, but luckily found your post, took a deep breath and actually fixed everything with the first step: corrupt htaccess file. THANK YOU! I really do need to learn more about WordPress. With your help I just fixed my 500 internal server error. I’m a total newbie so this is very helpful!! Thanks!! Thank you very much!! The best 500 internal server error remedy post I’ve came across just when I needed it!! I didn’t do anything by myself but I contacted my hosting provider..Lets see how long will they take to fix this issue.